Conversion of seawater into freshwater by vacuum distillation for the supply of high quality freshwater for domestic and process utilization. For installation on ships and rigs, and remote onshore locations. 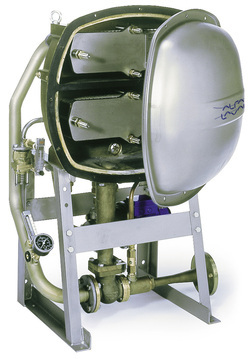 The JWP-16-C is designed for automatic operation with continuous control of freshwater quality. AQUA uses vacuum distillation to convert seawater into high quality fresh water for domestic and process utilization. By providing a constant supply of low salinity water and continuously controlling the water quality, it eliminates the need for bunker water. AQUA is designed for automatic operation in periodically unmanned engine rooms and other automated operations. It is suitable for installation on ships and rigs, as well as in remote onshore locations. The fresh water supplied by AQUA has a lower content of salt and other dissolved solids than that supplied by other freshwater generators. 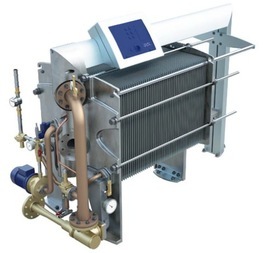 It can be used directly by the steam boilers.